You may decide which members are allowed to use your pre-paid clicks to contact you. In order to get a member’s attention, you may gift that member with clicks, which can be used to contact you only, or with clicks which can be used to contact any member of their choosing. 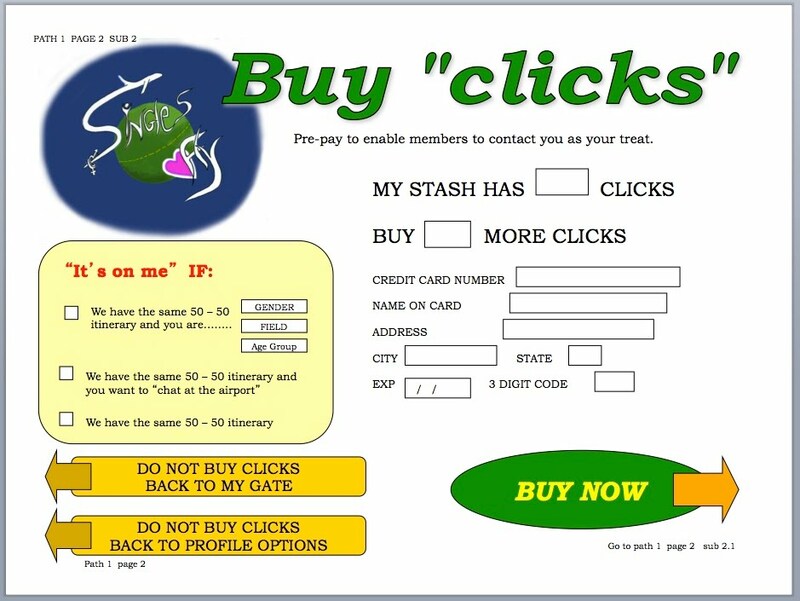 spending from their own click-stash, or without having any pre-paid clicks in their stash. As a rule, the member who initiated the contact is expected to pay, but only if there are clicks in their stash. If there are none, the member being approached, may choose to pay for the contact with their clicks. Or to ignore the contact. This can be determined manually: when you receive an attempted contact, if you choose to answer it , you then find out , whether or not the contact is pre-paid. This can, also, be determined automatically, thru a pre-set default setting setup by the member who is buying the pre-paid clicks for their “click stash”. a member can set up who pays. For that purpose, PPS PAGE 11 has a box, to the left in the middle called: “IT IS ON ME IF..” in this box a member can setup which members, or types of members can contact him / her , for free, as that member’s treat (the one receiving the contact).